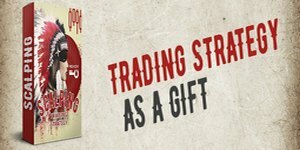 Only until the May 10th, 2019 we give you a trading strategy as a gift that was developed and repeatedly tested by the FreshForex professionals! To get the strategy for free, deposit your trading account of any funds amount via e-commerce payment system Skrill. Skrill allows conducting the finance operations via the web without revealing card and bank details. This is the main reason why Skrill is considered as one of the safest payment systems. In addition, Skrill doesn’t charge a commission for depositing. Learn more about Scalping strategy. accurate recommendations based on money management to help you to protect your deposit. We are glad to inform our partners and their esteemed clients that our extensive forex trading seminar road tour continues its way to many more locations in Malaysia throughout the year. As always, we consider it as one of our top priorities to provide high-level education with free attendance to retail investors willing to improve their trading skills and develop their trading routine with professional guidance. The upcoming event locations of the XM seminar series are Terengganu and Melaka in July, in each of which seminar participants have the opportunity to acquire practical knowledge from professional forex instructors Mohd Helmi Izani and Zulle Razak. We look very much forward to welcoming our existing and new clients to the seminar of their choice, as well as introduce them to a set of highly efficient trading techniques and strategies that they may incorporate into their investing practices for better results. For more details about our seminar details and to register, please click here. The times mentioned above are in GMT+3 and are subject to change by the respective exchanges or liquidity providers. Traders should note that in the event of low liquidity, spreads might significantly increase from their normal levels. Should you have any questions about these changes, please do not hesitate to contact our Client Support Team. 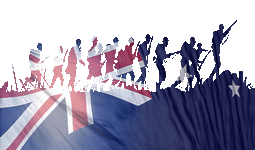 On April 25, 2019 Australia celebrates Anzac Day. For this reason, the CFD trading on index ASX will be opened later 10:10 EEST (as per company’s trading server time). Company reserves the right to suspend the trades if the instrument liquidity decreases. Starting from April 26th, 2019 trading returns to regular hours. Please consider this information when planning the trade on financial markets. Kindly note that the holiday trading schedule is introductory and may be changed. The main tasks of our company have always been the search for the individual approach to a client and the establishment of the best trading conditions in the forex market. In order to make your work with FortFS as comfortable as possible, we are constantly improving the quality of our service. Customers feedback are very important to us! In order for FortFS to continue to be associated with the benchmark of a broker distinguished by the highest execution speed and first-class trading conditions, we ask you to answer a few simple questions about the company's services. This will help us to improve the quality of the services. We will take into account all your wishes. 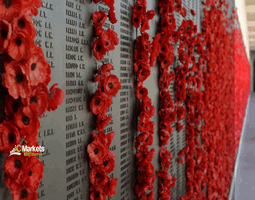 We would like to draw your attention to the trading schedule over the upcoming ANZAC Day in Australia on 25th of April 2019. Please note that trading hours for some instruments will be affected. The server time GMT +3 indicated in the schedule corresponds to the time indicated in the trading platform. Please consider this information when trading. The instruments that are not specified in this table are traded in normal mode. All information is intended for guidance only and it is a subject to change. Please, stay up to date. 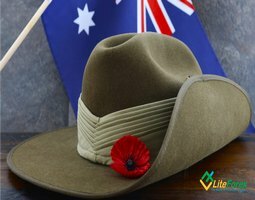 Please note that in observance of the upcoming public holiday in Australia, Anzac Day on 25 April 2019, there will be temporary changes to FXTM’s trading schedule. Kindly refer to the table below for the schedule of all the instruments that are subject to changes. All hours are provided in EET (Eastern European Time) – Server Time in MT4. 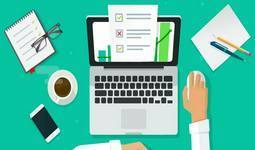 Please note that in the event of decreased liquidity in the market, FXTM may switch trading on low-liquidity instruments to “Close Only” or can close all trading on these instruments. We are excited to have completed yet another educational seminar on April 6th, 2019 in Dar es Salaam, one of Tanzania’s major cities, providing local traders with first-hand trading knowledge and expert insights by the renowned market analyst Rabih El Jamal. Never before have we witnessed such a huge and warm crowd, welcoming more than 400 attendees at the Kisenga Conference Center. From the history of the forex market, trading strategies to the specifics of placing orders on the MT4 platform, attendees received a comprehensive walkthrough of forex trading with participants walking away with many practical examples and useful ideas that they can put into action to benefit their trades. The attendees in their majority were sophisticated traders and we were delighted to develop interesting discussions with them and hear that our advanced trading services and tools go above and beyond their expectations. Many of them have also expressed interest in attending more seminars like this in their region. Interestingly, Tickmill has already planned a series of Forex seminars in Africa which will be announced soon. By all measures, our Forex seminars in Santiago and Lima which took place on 23rd and 30th of March 2019respectively were a huge success and we are pleased to have connected with hundreds of Forex traders in both cities. Our technical analyst Carlos Valverde offered attendees a detailed walk-through of the world of forex trading, placing emphasis on the psychological side of trading, approaches to effective risk management, types of market analysis, price action trading strategies and market games. The feedback received following the seminar was overwhelmingly positive and attendees much appreciated the fact that Tickmill frequently visits the LATAM region to deliver high quality Forex education in their native language and tighten bonds with local traders. This is a living proof of our continuous effort to give a new dimension to our clients’ trading education. At the end of both seminars we run a raffle giving away a Lenovo Ideapad 330s laptop, a $500 and a $300 cash prize. We would like to thank everyone who attended our seminars in Chile and Peru and we look forward to organising our next Roadshow in Latin America. Stay tuned for more information. InstaForex and HKm Zvolen from Slovakia summed up the 2018-2019 season. 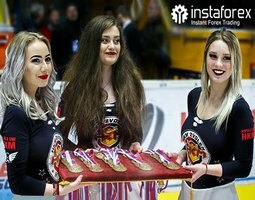 InstaForex closely followed the developments in the Slovak Ice Hockey Championship throughout the 2018-2019 season as the Zvolen team sponsored by InstaForex for many years took part in this rivalry, one of the most prestigious European hockey tournaments. Looking back, HKm Zvolen was only one step away from the leadership in the regular championship and took second place. Notably, Zvolen showed the best game in defense, missing the least of goals (128). However, the main part of the Slovak Championship was just about to begin as after the regular championship, there was time for playoffs. In the intense clash, only one step separated Zvolen from the final again when the Nitra team showed better results in the semifinal. Nevertheless, Zvolen managed to finish the season in the winners' zone and got the bronze medals of the Slovak Championship. No doubts, fans of the hockey club appreciated it a lot. Thus, this year, HKm Zvolen laid the foundation for future big victories. Perhaps, we will witness them in the next 2019-2020 season already. We wish good luck to the Zvolen hockey team and all InstaForex traders whose aims have so much in common. Please find our updated Trading schedule for the Anzac Day on Thursday, 25th April 2019 below. Times mentioned below are Platform time (GMT +3). If you have any questions or require any assistance, please contact one of our support team members via Live Chat, email: [email protected], or phone +61 (0)2 8014 4280. This Thursday, on April 25th at 6.30am GMT Bank of Japan will make a decision regarding interest rate. What to expect from the meeting and how will markets react? Prepare for volatile market in advance and and protect your deposit with Stop-out insurance! FXOpen added possibility to get widgets with information about the trading account in FXOpen Analytics (a web-based application for collecting statistics and analyzing the performance of Forex accounts). The widgets display daily and monthly gain and drawdown. They can be published on any website by adding the generated widget code to the web page code. Clicking on the widget redirects the user to a page with detailed information about the trading account. The information is updated daily at the end of the trading session. Find more detailed information about widgets in FXOpen knowledge base. S&P 500 is the most popular asset among the traders. This stock market index represents the stocks of 500 large-cap U.S. companies. S&P means “Standard and Poor”, the names of the two founding financial companies. On Wednesday, April 24th at 12 noon GMT we’re going to look at just everything to do with this index. We’ll look at it from both technical and fundamental point of view and what to expect with this index in the next few months. This webinar is good for both new traders and professional traders. On April 22nd, Western Christians around the world celebrate Easter. 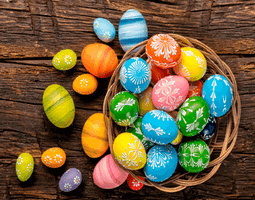 On behalf of our company, we wish you a happy Easter! May your life and that of your loved ones be full of joy, warmth and kindness, while each day brings happiness and harmony! 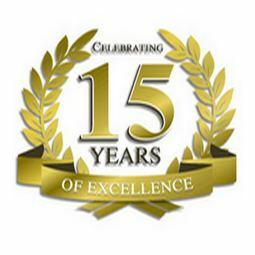 Larson&Holz is turning 15 years on April 20th. Throughout these years we have been developing our services, improving and embelleshing the opportunities we offer for you. We fail to express how thankful we are to all of our clients for your trust. In celebration of this anniversary we are giving you bonuses - 15%! The offer starts on April 20th, 2019, and lasts till May 20th, 2019, included. The terms and conditions of the Anniversary bonuses are the sane as Depojet bonus. Due to unexpected issues on the side of our liquidity provider, temporary problems may have arisen with binary options trading on April 18th and 19th, 2019. In some cases, orders were executed at incorrect prices. Upon discovery of such instances, the financial result of an order may be adjusted or fully canceled. If you have any questions, please contact us via LiveChat on our website or open a support ticket in your Private Office. Please note that due to delays associated with Brexit and decrease in the volatility of the Pound Sterling (GBP), Alfa-Forex will adjust the leverage for the affected currency pairs on Friday, April 19, 2019, at 15:00 Cyprus time (GMT+2) until further notice. We advise traders to exercise caution during this time and closely monitor all open positions. If you have any questions, please contact our Customer Support Team by phone on +357 22 470 966 and +357 22 470 969, by email at [email protected] or via our online chat service. In observance of the upcoming Good Friday, certain changes will be applied to the trading schedule on April 19th–22nd. All mentioned symbols will be available for trading as usual from April 23rd. Please note that TSE ASIAN Stocks will also be unavailable for trading on April 29th and 30th due to the national holiday Showa Day in Japan. Should you need any further information, please do not hesitate to contact us: [email protected] or via LiveChat on our website.